In part two, we quoted from an essay by Dr. David Katz that proves the points made in part one. Social media is endangering our health by allowing everyone to shout health advice into an echo chamber, ya see — and once the inferior brains of ordinary folks are filled with bad information, there’s no room left for good information. Misinformation is far more pernicious than ignorance. Ignorance is that proverbial empty vessel; a knowledgeable health professional can fill it. But it’s hard to fill a cup that already runneth over- and that’s the scenario that misinformation creates. If I’d begged The Anointed to please provide an example of how they believe they’re very, very smart and the rest of us aren’t, they couldn’t have provided a better one. I’m guessing Katz doesn’t limit his reading for fear his big ol’ brain will reach full capacity and become incapable of absorbing and evaluating new information. No, that’s only a risk for the rest of us. 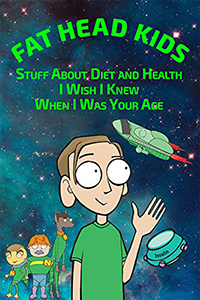 He’s an egomaniac, but at least Katz plans to battle what he considers bad information with what he considers good information — provided by the usual gang of goofs who’ve been trying for decades to convince everyone that animal foods will kill us, while grains and soy will save us. He calls his gang of goofs The True Health Initiative, and apparently their mission is to rush out and fill inferior brains with advice Katz likes before advice he doesn’t like occupies all the available space. Other members of The Anointed aren’t willing to risk having their advice bounce off a brain that already runneth over with advice they don’t like. The only way to prevent that disaster, of course, is to shut down people who argue that The Anointed are wrong. Let’s look at a recent example. A new report published in BMJ on Wednesday suggests the latest U.S. dietary guidelines up for review are not based on sufficient and up-to-date scientific research of crucial topics, such as saturated fats and low-carbohydrate diets, and may even be fraught with industry biases. The last time the committee members drew up guidelines—in 2010—they used the Nutrition Evidence Library that was established by the USDA, which provides systematic analyses of research on various nutrition subjects, such as sodium and sugar intake. But the committee that worked on the 2015 guidelines didn’t use that system for more than 70 percent of the topics, including some of the most controversial, according to Nina Teicholz, a New York City–based journalist and author of The Big Fat Surprise: Why Butter, Meat & Cheese Belong in a Healthy Diet, who wrote the BMJ report. In the report, the committee states that there is a “strong” association between saturated fat consumption and heart disease. However, Teicholz says, the review of the science behind saturated fat consumption didn’t include research from the last five years, including several notable papers that don’t demonstrate a link between high saturated fat consumption and increased risk for heart attack and stroke. She says the committee’s review of different kinds of diets—including low-carbohydrate, Mediterranean-style, healthy vegetarian—is also deeply flawed. In the BMJ report, Teicholz says that in some instances, the committee based their conclusions on limited research or poorly designed studies, such as a single clinical trial of 180 people with metabolic syndrome, which found the Mediterranean diet was most effective for weight loss. Okay, you get the idea. Teicholz pointed out what she considers several flaws how the Dietary Guidelines Committee came up with their recommendations. And since her report was published in the BMJ, it carries some weight. After all, doctors read the thing. “The DGAC report is excellent, and represents both the weight of evidence, and global consensus among experts,” Katz wrote. I’m almost starting to like Katz. Whenever I need an example of how The Anointed think, he delivers. Notice what his (ahem) “argument” boils down to: THE LITTLE PEOPLE AREN’T QUALIFIED TO QUESTION US, SO NOBODY SHOULD BE LISTENING TO THEM! The BMJ report is just the “opinion” of one journalist, ya see. Weird thing is, I could have sworn Teicholz cited a whole lot of facts in her critique of the dietary guidelines, not just opinions. That’s why BMJ was persuaded to publish the report. And while The Anointed would love for us all to be swayed by impressive-sounding credentials (conferred by The Anointed themselves, of course), the truth of a statement does not depend on who utters it. Facts are facts – and that’s a fact. Soon after the Teicholz report appeared, CSPI demanded that BMJ retract it. Now, stop and think about that. Katz insisted Teicholz was expressing her opinion in the BMJ article. If that’s true, it means The Guy From CSPI was demanding the BMJ stifle an opinion. Well, that’s just awesome. We The Anointed hereby declare a ban on opinions we don’t like. But if it’s not an opinion piece, then any dispute comes down to facts. If The Guy From CSPI believes the dietary guidelines are correct, he is of course free to argue in favor of them. If he believes Teicholz doesn’t have facts and logic behind her arguments, the proper response is to reply with facts and logic to dispute her arguments. But then, we’re talking about CSPI here – the organization that threatened to boycott a nutrition conference unless Teicholz was disinvited. So obviously The Guy From CSPI isn’t a fan of defending his arguments in a debate. He’d rather just prevent people who disagree with him from being heard. So he demanded a retraction of the BMJ report, and attempted to apply pressure by having 100 members of The Anointed sign a petition. Neither Teicholz nor The BMJ are new to criticism. Healthcare is rife with controversy and the field of nutrition more so than many, characterised as it is by much weak science, polarised opinion, and powerful commercial interests. Weak science? You betcha. Polarized opinion? Of course. When so-called experts promote nonsense based on weak science, opinions should become polarized. That’s why The Anointed are so big on creating consensus: if opinions are polarized, it means people are daring to question them and (egads!) perhaps even insisting they’re wrong. They want those people to shut up. A reader pointed out that Dr. David Katz was among the 180 anti-fat warriors (not 100) who signed the CSPI demand for a retraction, which means he’s an even bigger jackass than I thought — and that’s saying something. Remember, he described the Teicholz report in BMJ as “the opinion of one journalist with a book to sell.” That means he, along with The Guy From CSPI and the other anti-fat warriors, was demanding BMJ retract an opinion. So here’s what this boils down to: Teicholz wrote a report saying U.S. dietary guidelines — which still promote anti-saturated-fat hysteria — aren’t based on rigorous science. Then the same group of goofs who’ve been pushing anti-saturated-fat hysteria decades demanded BMJ pull her critique. This isn’t about protecting public health. It’s about protecting their own reputations and interests. 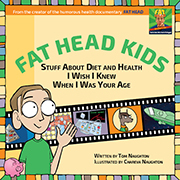 And speaking of having something to sell, Dr. Katz has written several books promoting a low-fat diet (I don’t know if he compared his writing in those books to Dickens or Milton), and of course he has a financial interest in NuVal, a system for ranking the healthiness of foods according to his own opinions. So the Teicholz piece was a threat to his own bottom line. Having the list handy might be useful for critical readers of so-called nutrition papers. It’s not ad hominem. It goes to credibility. One comforting thing about highly polarized positions on nutrition – strong advocates for any point of view are presumably eating their own dog food. For those who are mistaken, it might also be their penalty. If the diet has negative effects, they’ll just take drugs manufactured by their financial supporters. Sadly, I think a lot of them can live on the diets they suggest. And when other people have trouble or health difficulties, it is because the person is not doing it correctly. Good point, and one I made in some old posts. Vegetarians are a self-selected group. Around 75% of people who become vegetarians eventually quit, the most common reason being health problems. The other 25% are those who don’t become fat and sick living on grains, soy, etc. Are you sure you didn’t mean vegan? Vegetarian diet seems pretty ideal, long as being vegetarian means eating fruits, veggies, and some forms of meat (fish, eggs, chicken?). Of course, while avoiding grains and most processed foods. No, the post I wrote some time ago cited a survey showing that 75% of vegetarians eventually quit and the most commonly cited reason was health issues. I don’t believe most people who call themselves vegetarians eat fish or chicken. Some eat eggs, some eat dairy, some eat both, but as soon as you eat a critter that was once alive, you’re not a vegetarian. “I’ve yet to meet a happy vegetarian.” ~ Bob Hoffman, founder, York Barbell Co.
Around 75% of people who become vegetarians eventually quit, the most common reason being health problems. Tom,could you do some blogs on vegans and vegetarians health problems? Old post, don’t know if you still read these, but my mom, who is in her 70s, switched to a vegan diet a couple years back. Her health has dramatically declined. She was active, now she is hunched over, walks with a cane, and barely gets off the couch. No amount of proof, logic, etc., will change her opinion. She is morally against eating animals and has said she would die before eating an animal product again. It’s very sad and frustrating, especially because I am the one who will be taking care of her as her health continues to decline. All I can do is buy her supplements to try and make up for what her diet lacks but I doubt if she’s taking them. Sorry to hear that. I’m afraid it’s like asking a zealot to change religions. I realized a while ago that I cannot tolerate carbs, even fruit. When I initially went on low carb, I tried to periodically eat things like grapefruit (a supposedly very low glycemic index fruit). It didn’t work. I’ve also tried resistant starch (potato starch, plantain flour or plantains, even white potatoes at times), and that ceased my weight loss and caused higher blood sugar levels (particularly white potatoes, even cooked and cooled and reheated, as these drive my blood sugar through the roof). I’ve never lost body fat/body weight LCHF/Keto. The opposite has happened. I’m the fattest I have ever been. Some suggest it is a cortisol issue and none of the “experts” in the LCHF/Keto field will answer that question — most likely because they don’t have an answer. Dr. Fung advocates for intermittent fasting. Is your cortisol stress related? I think it’s very complex and we are nowhere near the answers we need, if it’s even possible to determine the answers. I’ve seen arguments saying that in addition to insulin, glucagon is also a major factor for some people. It’s hard to know. The biome, sleep, stress, are all possible factors. And those factors likely influence different people differently. For me, I did low fat for 30+ years and was never happy and continued to gain weight regardless of the amount of exercise I did (and I’ve never ceased exercising). It wasn’t until I took up low carb (then intermittent fasting, then ketogenic diets) that I reversed that. I’m down 50 pounds (was 55, but a shoulder surgery has set me back a bit). I don’t believe low carb is a panacea, or for everyone, but for those of us it helps, it really freaking helps. My doctor did a physical on me. He ignored the high cortisol levels and went straight for the high cholesterol. I have done intermittent fasting and I haven’t seen any kind of positive results. Dr. Fung does state that intermittent fasting and low carb don’t overcome high cortisol levels. Some, maybe. But Michelle Obama for instance, while she was pushing “healthy” food on public school students, was definitely not eating that stuff nor making her daughters eat it. It’s just for the public who pay her wages. Many food and politics preachers behave like this. You’ll see it too with the AGW crowd, pushing green energy on everyone while doing things every day that they say cause emissions but for some reason it’s OK when they do it. I like green tech by the way. I dislike the hypocrisy of the Green Anointed who don’t use it themselves. I am not much of a fan of the Obama’s, but the very first initial plan from Michelle was pretty decent, sadly, it lasted exactly ONE precious press conference. From what I recall, her chef, Sam Kass, and her were going to trying to push real food. Fresh veggies and the like, thus her garden, but, shortly after the first press conference her message got morphed to balance and move more. Argg, poor S/N on the subject, I would love to find specific cites, no time. Tom, thanks again, and Merry Christmas to you and your family. The other problem is that THEY get to decide what “false information” is as evidenced by the current push of calling any viewpoint the mainstream media doesn’t agree with “false news”. It doesn’t matter how true it is– if it’s not approved by the anointed, it’s “false news” and can be dismissed without any discussion or consideration. We’re heading in a very dangerous direction with all this. I predict they’ll push for censorship. I also predict they’ll ultimately fail. The internet genie isn’t going back into the bottle. Blessings on the BMJ for not letting themselves be bullied by the Guy From CSPI, and for standing up for Teicholz! Blessings on them also for plainly stating the problems rife in the field of healthcare in general and nutrition in particular. Step by step, we are getting somewhere. CSPI Guy, you have had your day. You might consider quietly fading out of the scene now, because in five more years people are going to start laughing the instant you open your mouth. I’ve gained a lot of respect for the BMJ lately. They’ve also faced a storm of criticism from statinators for publishing articles critical of statins. Tom, I agree. The BMJ editor, Dr Fiona Godlee, has previously resisted strong pressure from Sir Rory Collins, or Mr Statin in Chief, to withdraw articles critical of statins. Dr Godlee’s comments on the mess of nutrional science sums the situation up beautifully. I’m so pleased that she refused to be intimidated by the vested interests responsible for so much harm. Well done to Nina Teicholz and the BMJ. Godlee deserves a medal for bravery under fire. You have to appreciate the classiness. Although on some of their bawdier comedies, the term “get bent” is thrown around gratuitously. In 1931 a book was published called “Hundert Autoren gegen Einstein” (A Hundred Authors Against Einstein). In response to the book, all Einstein said that if he were wrong, then one author would have been enough. From what I heard, when the BMJ called several of the signatories to clarify their objections, none of them could remember any. Very few opponents of the Taubes/Teicholz/Naughton etc actual science brigade attack them on the basis of science. Sure, they SAY it’s about science and evidence but they always attack based on the numbers of those that push the lies or that laugh-a-minute term “accreditation” or make personal attacks. They never actually discuss the scientific details of their objections, no doubt stopping us unaccredited plebs from getting the vapours at having to look up science terms or deal with numbers. They’re saving us, you see. This has always been and always will be a turf war, Tom, nothing else. Sure, I remember when Denise Minger took apart the China Study, and all the vegetarian fanatics could do was repeat over and over “She’s just an English major! She’s not a scientist!” Several of them repeated those lines here in comments, so I asked a simple question: where exactly in her analysis did she get the math wrong? Oddly enough, not one of them provided an answer. And if her math were wrong or attackable then we would have heard about it. Somehow I never heard a peep about the weakness of her math. I’m sure that the math was rigorously examined to find the faintest hint of mistake. That’s an excellent piece. Thanks for the link. David Katz is well thought of by the South African dietitians who with breathtaking incompetence pursued professor Tim Noakes. Katz is also friends with the Australian dietitians who are persuing Dr Gary Fettke, the surgeon who is accused of ‘inappropriately’ reversing diabetes. Looking at Katz’s friends tells me all I need to know. Being exposed for comparing himself to Dickens and Milton would have finished anyone with an ounce of shame or credibility, but on he goes. He’s a laughing stock. Yup, the desire of The Anointed to prosecute those who disagree is up next. I recently have been “censored” at my school for questioning the role of CO2 in global warm… er_ climate change, because I was accused of questioning the “anointed” ones at NASA, NOAA, and the IPCC. If you have the time, could you write a piece about the same dynamic at play with nutrition? My time is short, but I really hate it when I’m told to teach science objectively, but when it comes to climate science (aka catastrophic global warming), I am told to parrot what NASA, NOAA, and the IPCC have to say. My administrators don’t see the obvious contradiction, probably because the “experts” agree with their politics (which they will never admit to). That’s what these posts are about: that dynamic in nutrition. Sorry – I guess I meant to say “could you write a post about the dynamics of climate change.” I really would like to learn more about the climate change debate, and would appreciate any insights you have. I’m not getting anywhere with the science teachers at my school. Nobody seems to be knowledgeable about the issues. Continued thanks for your blog! I wrote a few posts on the topic on my other blog, which I let go dormant after taking on full-time programming work. Two books I think you’d find useful: “Air Con” by Ian Wishart and “The Politically Incorrect Guide to Global Warming” by Christopher Horner. Thanks Tom! I’m in chapter 21 of Air Con: 2010 Climategate Edition. It really is amazing how the alarmists feel the need to alter data. I now feel I can argue with the alarmists at my school. The kids get taught the alarmist’s view, so it’ll be an uphill battle..
Good to be armed, but don’t be surprised if facts bounce off their brains like little rubber bullets.